In its first response, the Kremlin said it was ready to cooperate if Britain asked for help in its investigation of the "tragic situation". Salisbury: A former Russian double agent convicted of treason in Moscow was critically ill in a British hospital on Tuesday after exposure to an unknown substance, with police saying it had to be "alive to the fact of state threats". 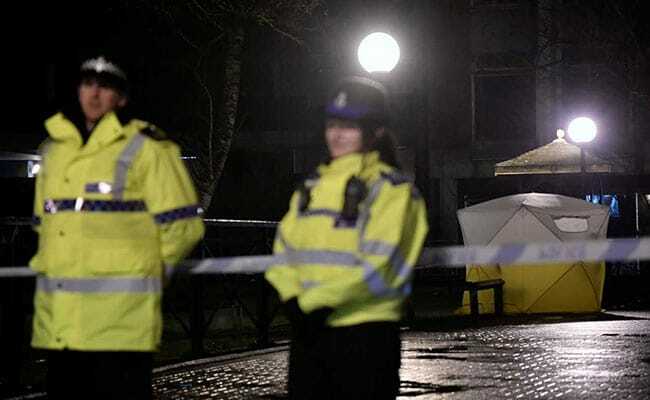 "We're speaking to witnesses, we're taking forensic samples at the scene, we're doing toxicology work and that will help us to get to an answer," said Mark Rowley, Britain's top counter-terrorism officer. "We have to remember: Russian exiles aren't immortal, they do all die and there can be a tendency to conspiracy theories. But likewise we have to be alive to the fact of state threats," Rowley told BBC radio before referring to the murder of Alexander Litvinenko. A British inquiry said President Vladimir Putin probably approved the 2006 murder of ex-KGB agent Litvinenko with radioactive polonium-210 in London. The Kremlin has repeatedly denied any involvement in the killing of Litvinenko. The Kremlin said it was ready to cooperate if Britain asks it for help investigating the incident with Skripal. "Nobody has approached us with such a request," Kremlin spokesman Dmitry Peskov told a conference call with reporters, when asked if the British authorities had been in touch seeking help. "Moscow is always open for cooperation." When asked to respond to British media speculation that Russia had poisoned Skripal, Peskov said: "It didn't take them long." Calling the incident "a tragic situation," Peskov said the Kremlin did not have information about what had happened.